Donald Campbell lived at Coniston Lodge for a short time whilst attempting his last record attempt. 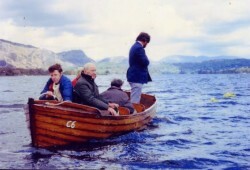 Sir Malcolm Campbell, Donald’s father, first came to Coniston Water in the summer of 1939, having decided that a return to the lakes of the Swiss-Italian border region was too dangerous because of the threat of war. 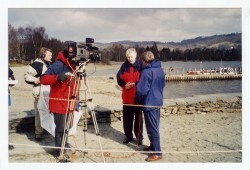 He was able to secure the use of the slipway normally used by the lake steamer, ‘The Lady of the Lake’. 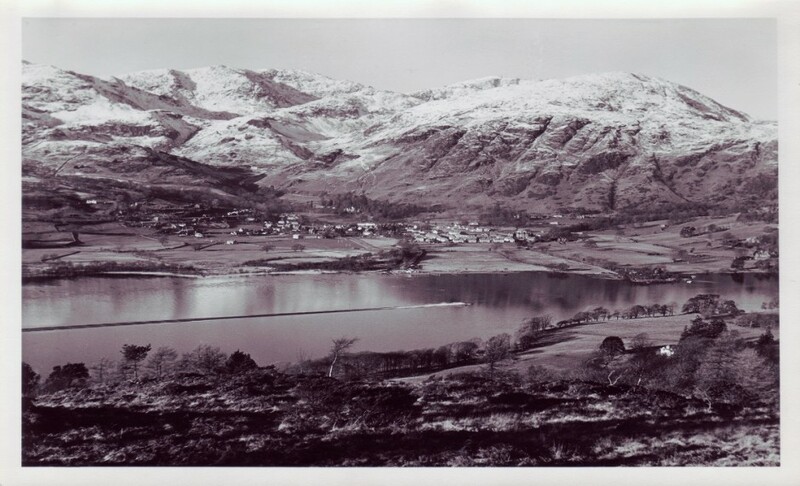 The nearest hotel at the time ‘The Waterhead’ was run by my maternal grandparents, Sam & Edith Bawden. So began a long association between our two families. The attempt in 1939 was very successful, and was all over in 10 days, Sir Malcolm setting a new world water speed record of 141mph on the 19th August. The 2nd World War broke out shortly afterwards, and my grandfather sold the ‘Waterhead’ to a school that was evacuated from the Isle of Wight. 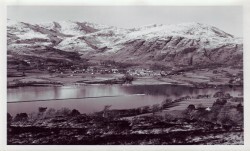 The Campbell’s were back at Coniston in 1947, by which time my parents had moved into the Black Bull, an Inn in the centre of the village. Once again we played host to the party. 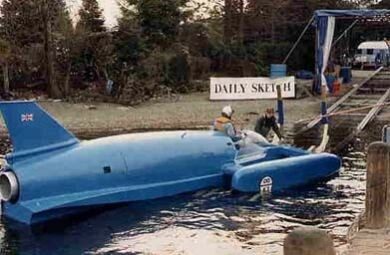 Sir Malcolm had converted the Bluebird boat to jet power, sadly this was not a success, and it was also to be his final attempt at a world record, as he died the following year. Sir Malcolm’s son, Donald, now took over his father’s mantle. 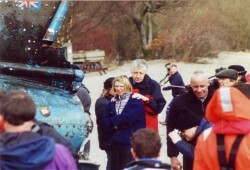 Converting Bluebird back to her original propeller driven form, he set about attempting to increase Sir Malcolm’s record. Over the three years 1949-51 he modified and improved the Bluebird, until he was reaching speeds well in excess of 150mph, then disaster struck, the boat hit a submerged log at very high speed, and was virtually destroyed. The steering wheel which hangs on the lounge wall here at Coniston Lodge was of this boat, and was given to my mother, Connie Robinson, as a memento in appreciation of all her help, by Donald. 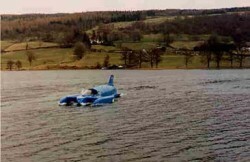 A new jet-propelled Bluebird hydro-plane was constructed and tested on Lake Ullswater. Setting a new world record there of 202mph in July 1955. At last achieving the goal he had set himself in 1949, of improving his father’s old record. 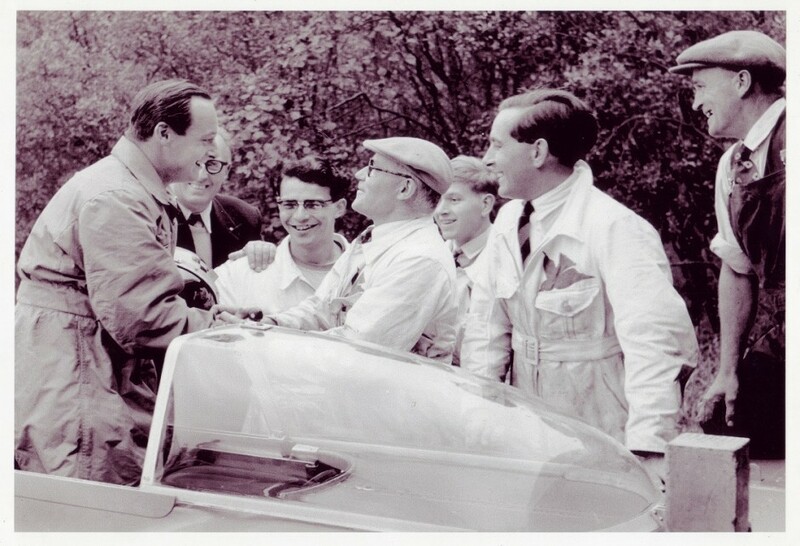 Later that year he took the Bluebird to America, and improved the record still further to 216mph. 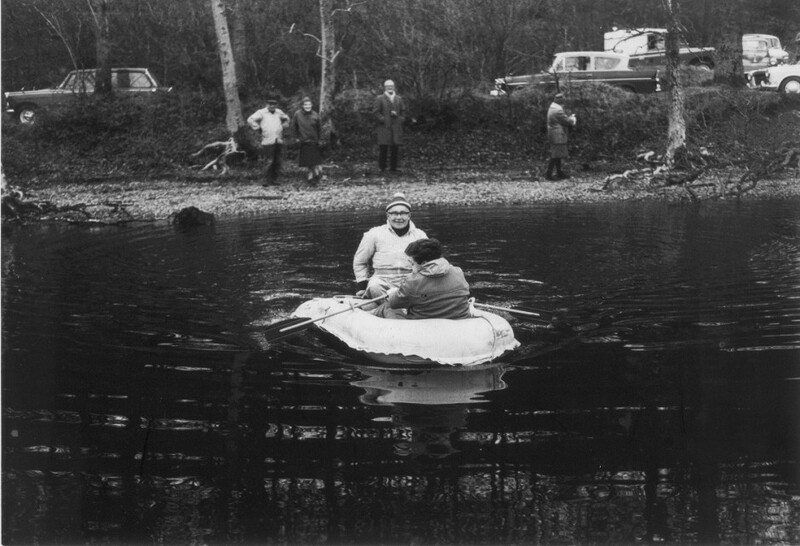 But it was not long before Donald was planning a return to his favourite lake. 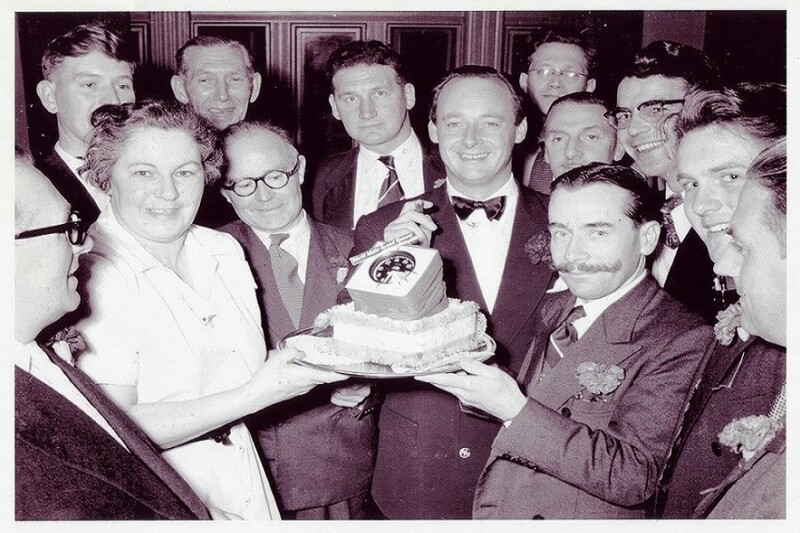 In January 1956, my mother Connie had been a guest on one of the very early ‘This is your Life’ programmes, which featured Donald Campbell as its subject. We were moving to the much larger Sun Hotel, the week after the programme was broadcast. It was not long before he was on the telephone with plans for a further attempt on his own record later that year. 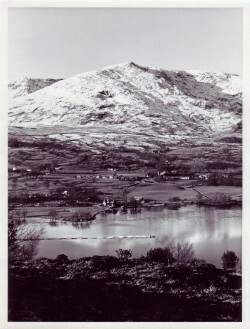 In all he visited Coniston four times between 1956 and 1959, each time setting a new record, his final one being 260mph. Donald now turned his attention to the land speed record, and his visits to Coniston ceased for a while. In 1964, after a previously unsuccessful attempt in America, he made a new World Land Speed Record of 403mph on the salt flats at Lake Eyre in South Australia. And later that year he improved on the Water Speed Record, setting a new mark of 276mph at Lake Dumbleyung in Western Australia. 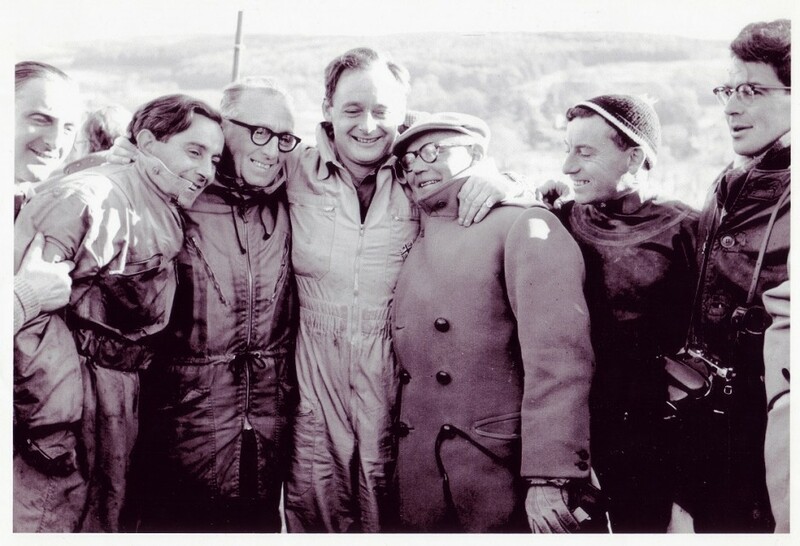 He is the only person ever to set and hold both Land & Water Speed Records in the same year. 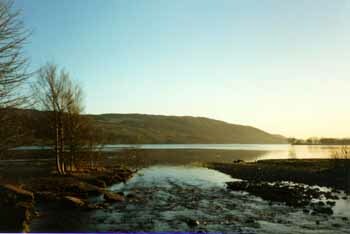 It was something of a surprise, when in the mid summer of 1966, Donald telephoned my mother saying that he was staying in Windermere with friends, and could he come over and see us. The purpose of his visit was soon obvious. He was making improvements to the Bluebird, installing a new more powerful engine, and he hoped to push the record beyond 300mph if at all possible. We were still at the Sun Hotel, but we had also built a large bungalow nearby, which we offered to him as a private residence, allowing him some degree of privacy. This is now Coniston Lodge Apartments. The rest of the team stayed at the Sun Hotel as usual. Sadly there was to be no record this time. On the 4th January 1967, attempting to set a speed in excess of 300mph, the Bluebird became airborne and crashed, killing its pilot. Now 34 Years later the remains of the Bluebird boat have just been recovered from the depths of Coniston Water by a team of divers led by my friend Bill Smith, and it is hoped that it will soon be on view at the Ruskin Museum here in Coniston. Plans are now well advanced to rebuild and return “Bluebird” to her former glory, so her return to Coniston may take a little longer than at first anticipated.